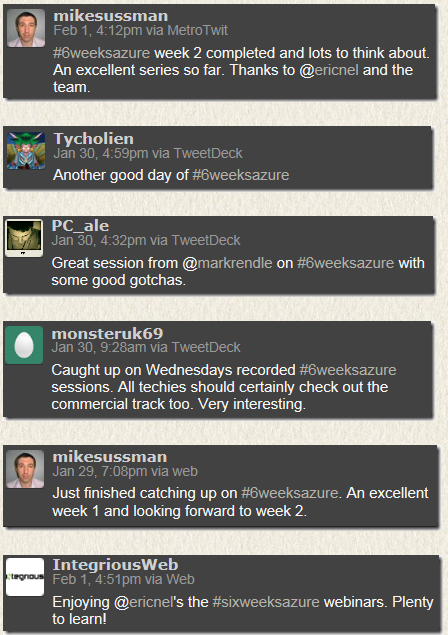 In January (2012)I delivered the hugely fun Six Weeks of Windows Azure. There was a lot right in the format we went with as well as improvements and changes we could make/try – I even did a little retrospective on it. Less than a year on, I give you Six Steps to Windows Azure (can you see what we did there). This time I’m not involved in the actual execution (which could well be a good thing!) as I’m heads down on Windows 8 WinRT applications. I plan to attend on the 9th – see you there. Cerebrata (now owned UK company Red-Gate) make awesome tools for Windows Azure – thanks largely to the work of Gaurav Mantri. 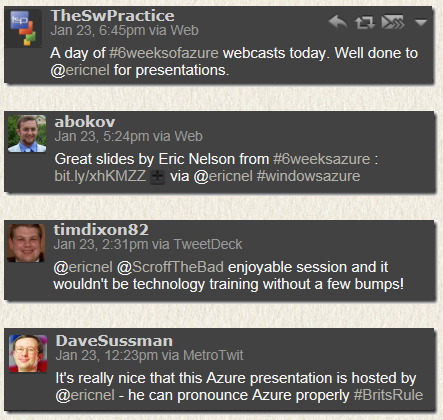 And it just so happens that the UK Windows Azure User Group has Gaurav speaking on April 3rd in London. Definitely a session worth attending if you are in London that day. Gaurav Mantri, CEO of Cerebrata Software (recently acquired by Redgate) will be speaking to the UK Windows Azure Group about Cerebrata tools, how they are used and how they were built using underlying REST APIs provided by the Windows Azure Fabric. Gauriv is here for a short duration from India so this is a rare opportunity to catch him speaking. If you’re already building a project in Windows Azure then you almost certainly use Cloud Storage Studio, Diagnostics Manager and CmdLets. If you don’t you will be soon! Redgate will be at the meeting to offer some free product licenses to a few attendees. Please register for this meeting @ http://www.ukwaug.net/. I have previously posted some of the “raw data” on Six Weeks of Windows Azure but I wanted to also share some thoughts about “how it went” and “how we might do things differently” in the form of a mini retrospective. But overall we are very happy with how it worked out. Feedback has been universally positive – 95% would recommend to a colleague or another company. The weekly one hour surgery allowed companies to ask questions and get answers. We felt these went extremely well given we had not tried this format before. The week 4 labs were an untried format for us. 12 companies came in over the 5 days (max of 3 companies on each day). The use of the day varied enormously from reviewing architecture through to migrating code and databases to the cloud. All the companies found the lab time extremely useful. We easily got to over 500 individuals registered, primarily through publicising through blogs, twitter, email. Our primary audience was UK partners although we didn’t turn away any organisation. We had over 90% partner sign up and vast majority were UK based. 90% of the companies were doing .NET. Which is fantastic … but Windows Azure is great for OSS as well. We would have loved to have seen more none .NET companies joining us. Vast majority of the attendees were technical – yet we had a great set of commercial sessions. Our advertising just didn’t reach the commercial folks. Was at times very frustrating – mainly around audio dropping/failing to connect for speakers. We would consider Lync or even 3rd party solutions for a future delivery. We tried but didn’t get product team involvement. However I think it would be much easier to do so in the future. Some technologies (e.g. SQL Azure Federations, Windows Azure Connect or HPC on Windows Azure) were not covered until very late in the 6 weeks. 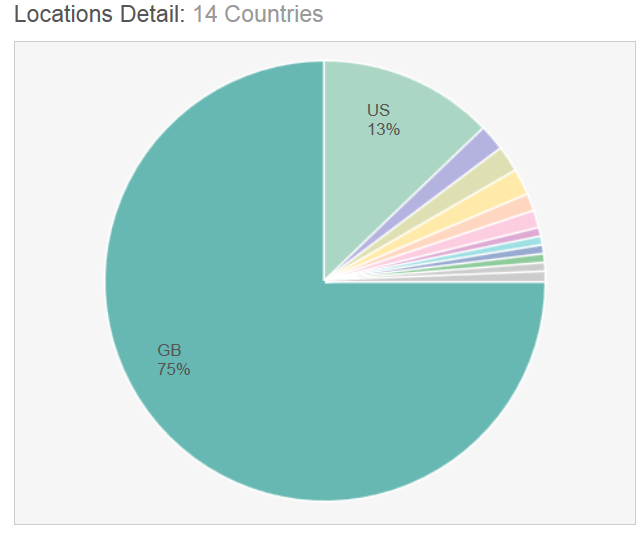 I think we could do a better job of demonstrating the rich breadth of Windows Azure in Week one whilst we also have the most attendees. We had 190 people join us in Week One out of over 500 registrations. Many of these “missing 300” never went on to join us live but presumably some did watch the recordings. However it puzzles us why they never showed. We wanted to take companies on a journey with detail and depth, hopefully leading to clear plans for when and how they would adopt Windows Azure. But… by week 4 we had significant drop off in numbers despite extremely good feedback on the first three weeks of sessions. We would make sure that in week one we covered the entire breadth of Windows Azure at some level, whilst as many folks as possible are “still with us”. This could be done as a one day online conference or potentially a large in-person event. This would be delivered as a “stand alone” activity which in itself was extremely useful. However it would also signpost a journey for the most interested/committed organisations to follow over coming months. All commercial content would be in Week one. We spread our 5 sessions per week over two days. Instead we would concentrate everything into one afternoon with signposting to further detail on each topic. We would retain surgeries. We did run some of these tweaks by our companies who made it to week 6. I will shortly do a mini-retrospective. Of the 500 individuals who registered, 190 individuals from 150 unique companies attended week 1. Steve has pulled together a gentle stroll through DNS, CNAME records and multiple web sites and how they all related to Windows Azure. This was in response to frequent questions we had on this area during Six Weeks of Windows Azure.